For over 50 years, Affiliated Lumber has been providing NW Ohio and SE Michigan with building materials with great service and low prices. This section spotlights the newest developments and homes that Affiliated Lumber is proud to be a part of. Dedicated to the residential and economic development of Northwest Ohio, Affiliated Lumber spotlights exceptional homes, developments, and contractors. Supporting our lumber company for over 50 years, Swanton is developing new homes, condos, and subdivisions with the help of a new high school and water line extensions. Ashberry Farms - Dodge St. 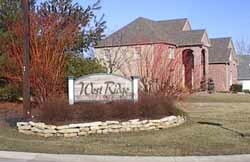 Featuring homes and condominiums, off of Dodge St. next to the new Swanton High School. Within walking distance to parks and the football stadium. Picture & Details to come. 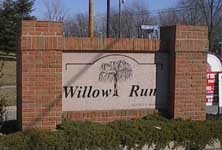 Willow Run - Airport Hwy. Waterwood Farms - N. Main St. This development in Swanton is located within walking distance of the new, state of the art high school, off of N. Main Street. Coined as an 'Old Time Village Series', the development is as well planned as it is inviting. 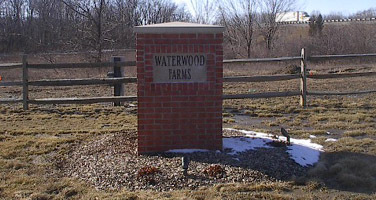 Waterwood Farms is just minutes from downtown Swanton and numerous parks. West Ridge - Hallet Ave. This development reminds home buyers of Sylvania and Maumee's newest developments with large, brick homes on a quiet cul-de-sac. There are still several lots left for discriminating potential customers who want the best Swanton has to offer. 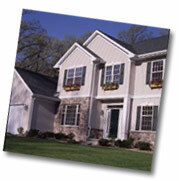 West Ridge is a small community featuring homes with grand entrances and an elegant appearance. Affiliated Lumber has been increasing it's range to provide all of Toledo and its suburbs with the same professionalism it has been providing Swanton and the surrounding areas for over 50 years. With numerous homes in Maumee, Toledo, Sylvania, Perrysburg, and other areas selecting Affiliated as their supplier of choice for lumber, siding, hardware, and all other building materials. Aside from houses, Affiliated also has everything necessary for garages, polebuildings, decks, and any other of your projects. Being one of the largest independent lumber and building material suppliers west of Toledo, Affiliated is deeply rooted in such cities as Delta, Wauseon, and Grand Rapids. When looking for homes for sale or building locations, it's not uncommon to see several projects covered in Affiliated R-Wrap (house wrap). Many homeowners and contractors have found the ease and efficiency of using Affiliated compared to the other available supply companies vital to their success. Site designed and maintained by studio 360 design. Copyright © 2003 by Affiliated Cash & Carry Inc.. All rights reserved. Revised: 15 Mar 2004 15:36:59 -0500 .